RevArc HD is an innovative hybrid ramp. It features the performance of an arched ramp with the stability and safety of a tri-fold ramp. 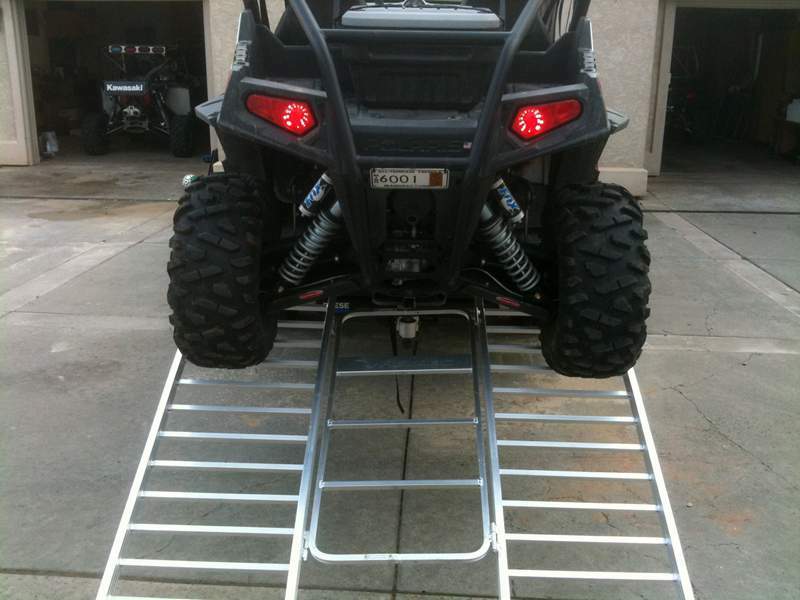 Because it is simple to use, consumers rarely have to second guess whether the ramp is lined up with the UTV. 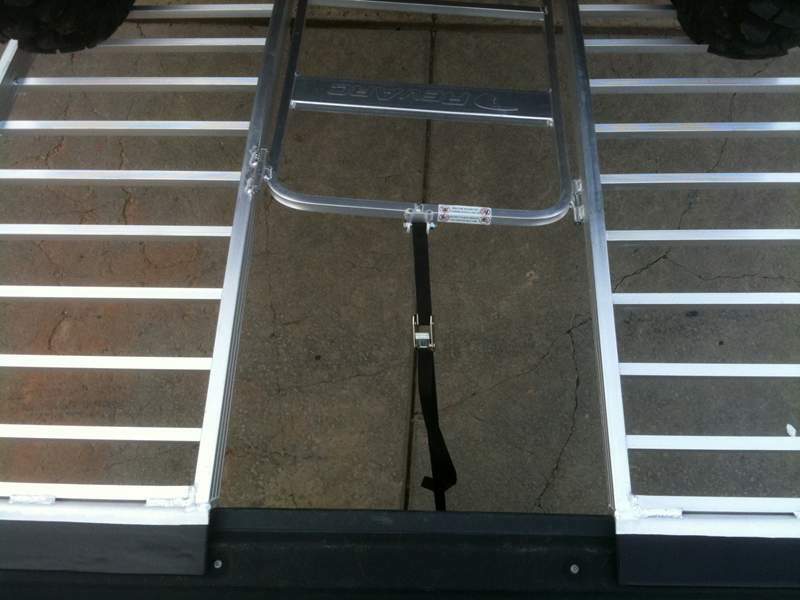 Just position the ramp, lock the single strap, and load with confidence. Ramp twisting, sliding, or slipping is greatly reduced with a RevArc HD. Many companies talk about safety, but Bosski actually did something about it with RevArc ramps. 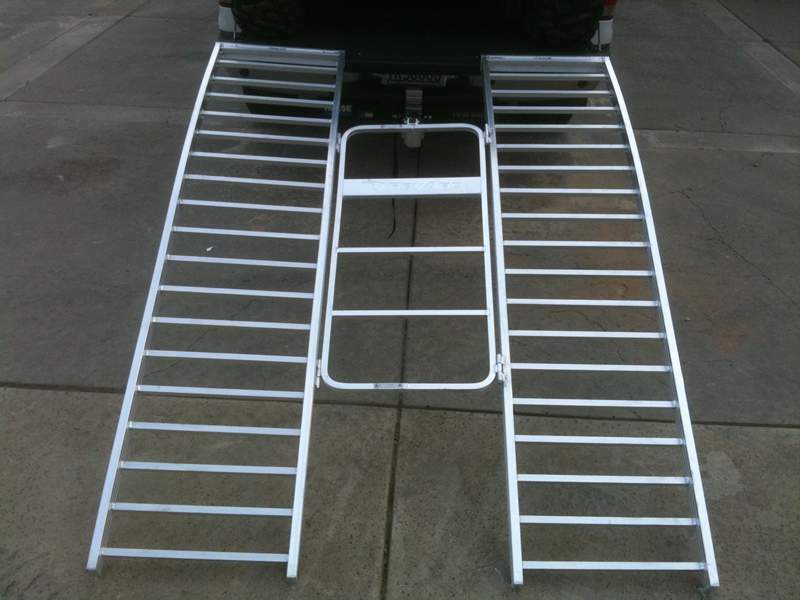 With a 2100 lb capacity, 64 wide, and 90 long, this ramp can work with Rhinos, Rangers, Gators, and Argos. Consumers benefit with a safer load angle compared to a conventional ramp due to the longer length feature, plus the advanced arched design offers a superior smooth transition from bed to ground. 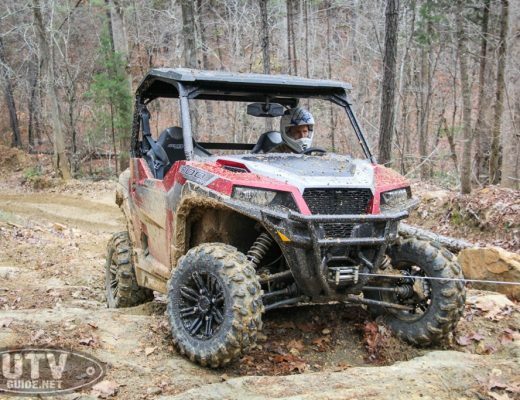 At 48 lbs, the lightweight design can easily be positioned and handled by anyone, and it slips under a UTV for easy storage. The RevArc ramp works as advertised! 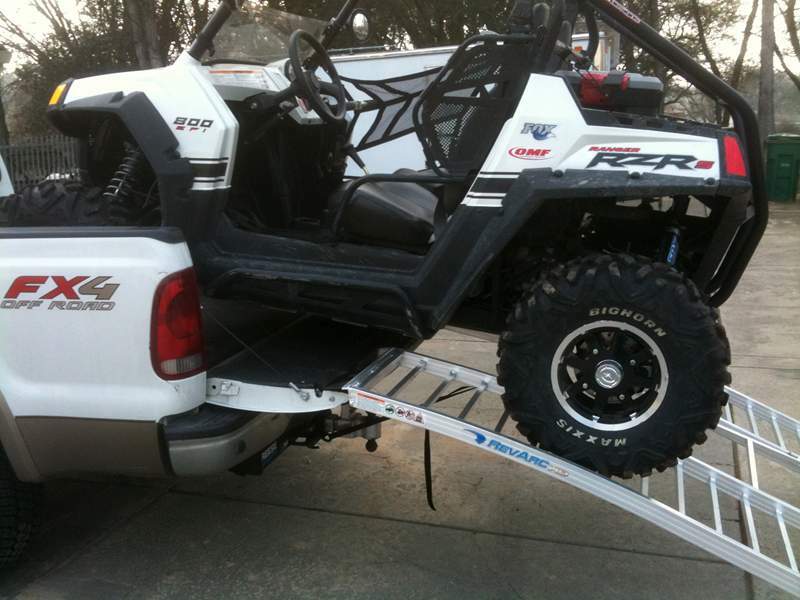 I saw very little flex on the ramp as I drove up which inspired confidence that it wasn’t going to buckle under the load of a UTV. 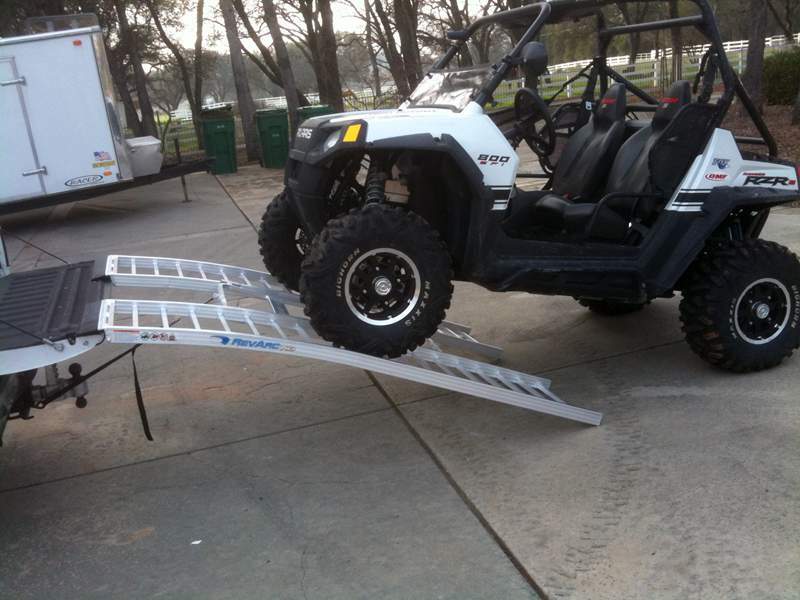 The ramp is very easy to handle since it is lightweight, and all in one piece. Much easier to maneuver and place than two piece ramps. 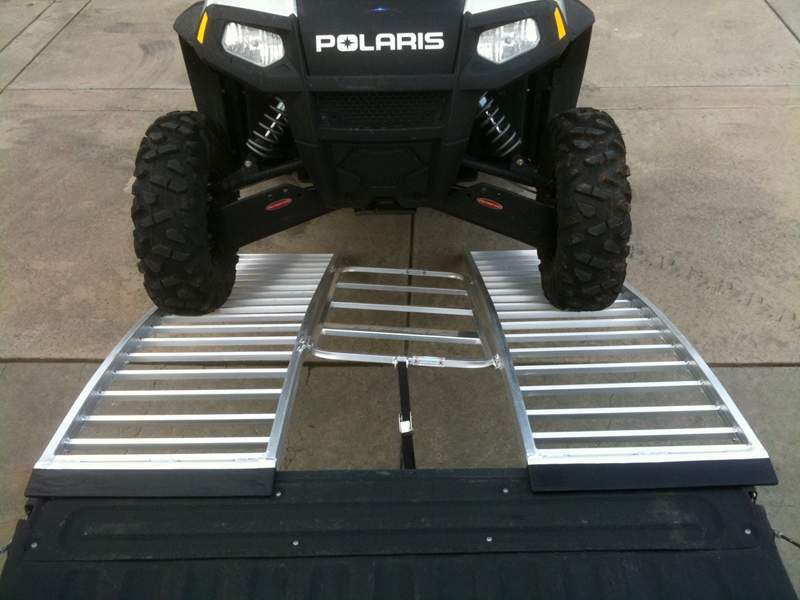 No worries about the ramp being lined up since it is all one piece, and the strap is centered so the ramp is being held directly into the hitch on your truck. 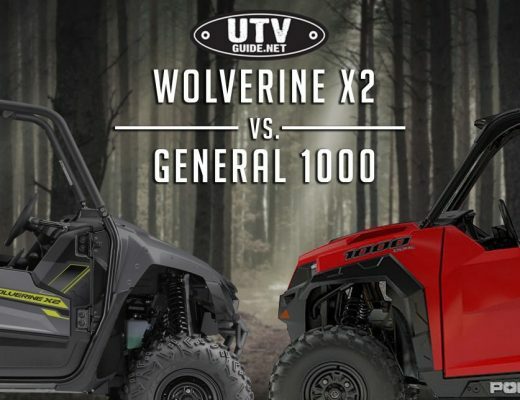 With a loading platform of 24″ – 64.5 wide and a 2100 lb capacity, the RevArc HD can load most UTVs and ATVs and it easily folds to a compact 22 for simple storage under a UTV. The retail price of the RevArc HD is $299.